It's always unpleasant when you lose something important. At Schiphol we take good care of all found items. And you can easily inquire at Lost & Found, whether your lost property has been found. We collect all sorts of lost items every day, from jewellery and passports, to laptops and entire suitcases. Are you still at Schiphol? Please visit the Lost & Found desks. You can find them between Arrivals 1 and 2 (one floor down) or in Lounge 1 between Transferdesk T2 and T3. Perhaps your lost property, identification documents or driver's licenses, was already found and handed in here. If so, you will get it back immediately or they will advise you on ways to find it back. If you have lost your hold baggage, please contact your airline. Found items are collected and stored in our central storage facility, as of the next day. Do you want to know whether you can find them here? Then fill out the online form first. The more details you can give of your lost item, the better and quicker we can look for it. As soon as we have found your lost property, you will receive a confirmation by email. In case you lost something at the airport, you will receive an email from us within three days. Have you lost something during a flight, then you will get the confirmation email five days later. 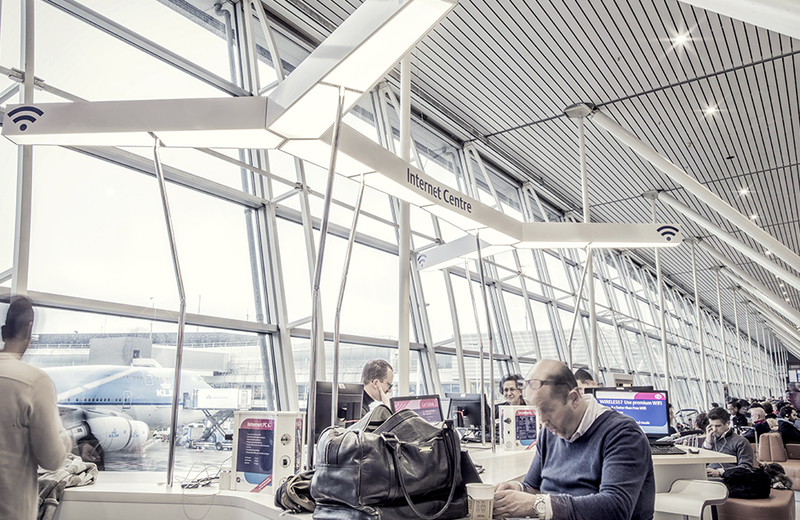 If you received a message that we have found your lost property, you can pick it up daily during opening hours, at the Lost & Found desk at Schiphol (go one floor down between Arrivals 1 & 2). We can also post it to you by courier. in the email you receive, we explain how you can collect them or arrange postage. Found identification documents and driver's licenses are collected and handed over to the The Royal Netherlands Marechaussee the next day. Inquire at their desk whether your document was found. You will find the Emergency Documents Office in Departures hall 1 or you can reach them on +31 20 603 8692. Questions about Lost & Found? Do you still have questions after completing the web form? Please get in contact with Lost & Found Schiphol via +31 20 333 0333.